CAIR-Chicago was happy to host a delegation of government officials and community organizers from Sweden as part of a cultural exchange. 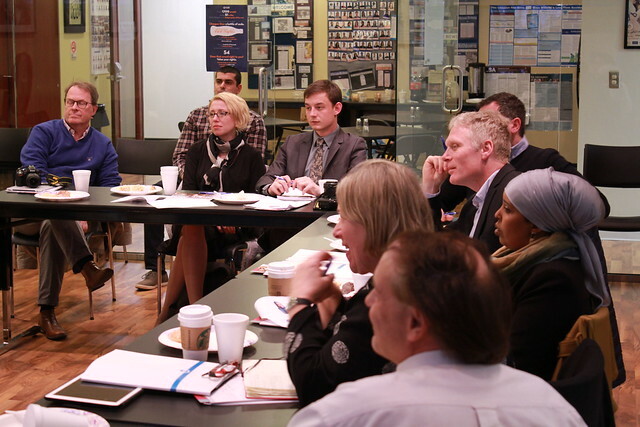 The exchange helps organizations and governments in the U.S. and Europe compare strategies, share resources, and learn from each other on how best to counter radicalism and build strong community relationships between government agencies and the Muslim communities. CAIR-Chicago's Executive Director Ahmed Rehab was part of an American delegation that traveled to Sweden earlier in the year.